Our site has the premier guide about old one dollar bills on the internet. We have been exclusively dealing in old paper money for more than ten years. Our guide is extensive and includes all the “need to know” information that will prevent you from selling your currency too cheap. Don’t assume that because we have taken so much time to create a guide that we don’t welcome inquiries. That is hardly the case. We would be happy to help answer any appraisal or value questions that you have. Our price guide covers the history of the one dollar bill between the years 1862 to 1957. There are some designs in there that look very similar to each other. So please be sure you are selecting the correct year. Different years can have different serial number colors and seal types. Click on a picture below to learn more about what makes them special and valuable. Please contact us directly if you need help valuing your $1 bank note or if you are looking to sell. There is no one design type that is considered especially rare or hard to find. 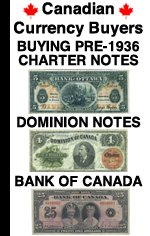 You could buy any of the above bank notes in lightly circulated condition for $1,000 or less. Many of the notes are available for less than $1,000 even in uncirculated condition. It is important to remember that while a $1 bill was worth considerably more in 1860 than it is today; it has never been a tremendous amount of money. It was very affordable to save an old one dollar bill just because. And as collectors we are thankful for that. 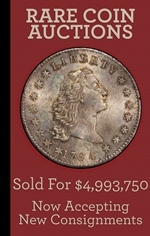 Now as sellers we sometimes wish old currency was worth more, but that just isn't always the case. Please keep in mind that all antique dollar bills are valued based on two main factors besides the type and year. The signature combination and the condition are the main factors that influence prices the most. For example, the 1923 $1 silver certificate comes with three different signature combination possibilities. The common signature combination sells for about $100 in perfect condition. The rare signature combination from the series sells for about $1,000 in perfect condition. Now let's look at condition. A heavily circulated 1899 one dollar bill usually sells for around $50. The same note in gem uncirculated condition is usually worth closer to $1,000. Don't jump to conclusions when it comes to values. You should always speak with an expert or specialist before making any final decisions. 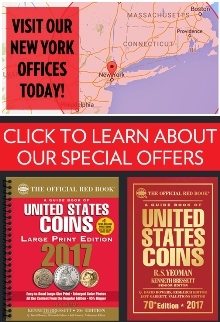 Why Don't I See My $1 Bill In Your Guide? 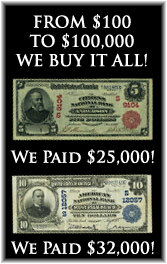 : We currently don't provide price information in our guide for obsolete bank notes and confederate bank notes. However, you are more than welcome to contact us directly with any questions regarding any United States bank note. What Different Types of One Dollar Bills Were Issued? : Large size $1 bills were issued as legal tenders (aka United States notes), silver certificates, national bank notes (aka national currency), treasury notes (aka coin notes), and Federal Reserve bank notes. There is not a preference for one type over another. Most collectors are looking to buy all examples. What Is The Most Money A Rare $1 Bill Has Sold For? : If we aren't counting national bank notes, stars, and serial number oddities (like #1 notes) then the most a $1 note has sold for is between $30,000 and $40,000. That price range is reserved for "top pop" notes like pre-1900 notes in the 68 and 69 grades. Of course only one in about 50,000 notes is going to have a chance to grade 68 or higher. You are not likely to find such high grade examples in grandpa's collection. What Are The Rare $1 Bill Varieties I Should Look For? : All things equal, you should look for Friedberg numbers 17, 24,229a, and 381. We won't get into the specifics here of how to identify them. However, you can click on the pictures above to learn more about those varieties. The good news is that many dealers, shops, stores, and collectors don't check for varieties. You might be able to cherry-pick some great bargains that way. What Is The Most Common Large Size One Dollar Bill? : Hands down, the most common $1 bill is the 1923 $1 silver certificate. These can be bought with ease for less than $20 each. One dollar bills printed after 1928 would be worth far less than twenty dollars in most cases. What Is The Most Popular $1 Bill? : There is certainly not a definitive answer here. However, I think the answer can be narrowed down to three candidates. The most iconic large size $1 bill is probably the 1899 $1 silver certificate. It is also known as a black eagle. It has a strong following. The 1896 $1 silver certificate is also very popular. It is commonly known as a $1 educational or $1 ed. The 1869 $1 legal tender note is certainly on many want lists. It is nicknamed the rainbow note because of its multi-colored paper. Which Antique $1 Bill Has The Most Upside? : We never advise collecting paper money because you think it is an investment. However, smartly assembled collections usually do gain value as time passes. I personally feel like the 1890 $1 treasury notes are undervalued in today's market. I see a lot of paper money on a daily basis and I rarely see 1890 coin notes at all. If I personally had $5,000 to spend on any $1 bank note, then I would buy one of those in as high a grade as possible. What Is The Most Counterfeited Old $1 Bill? : If you have an 1862 $1 bill with the serial number 40617 then you have a copy. I would say that 99.99999% of other oversized bank notes that you see on the market are going to be authentic. Does Having A Sheet Of One Dollar Bills Add Value? : Yes, absolutely, especially if we are talking about money issued before 1960. Modern Bureau of Engraving and Printing sheets are junk, even if they are star notes. However, everything else is very desirable. The oldest sheet I have seen is from 1896. National bank note sheets can be even older than that. What Is A Misprinted $1 Bill Worth? : It depends. Some misprints are very minor and only sell for around $10 - $50. High grade common misprints usually sell for around $150 - $500. Especially severe or rare errors can certainly have a value greater than $1,000. All of that price information applies to modern $1 errors. Large size errors can have lots of different values. What Is A Star Note? : A $1 bill that has a serial number that begins or ends with a star symbol was issued to replace another misprinted $1 bill. The oldest replacement star notes date to the series of 1899. One dollar bills from 1869, 1890, and 1891 also have stars in the serial number, but they are not replacements and the star symbol does not add any value in that case. A quick tip is that if the star symbol is solid then there is no premium. If the star symbol is hollow then you are dealing with a replacement. Please contact us if you have any paper money for sale. We would certainly like a chance to make an offer. The value might surprise you.